Table clamp with a 3/8" threaded connector is a true all-rounder. 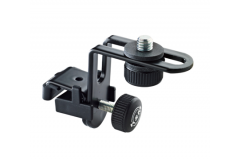 The table clamp with a 3/8" threaded connector is a true all-rounder. The threaded bolt can be fixed in four different directions using the universal spanner included. The clamp can also be extended using additional or other threaded bolts (1/4", 3/8", 5/8"). 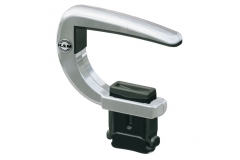 Having a clamping range of 0 to 48 mm the clamp is suitable for a wide spectrum of mounting. 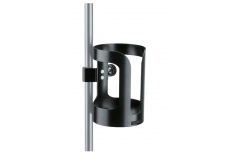 The stable metal construction with high quality plastic inserts guarantees a secure and strong hold. The cleverly shaped clamping parts allow the clamp to be used on smooth surfaces and round-shaped tubes.